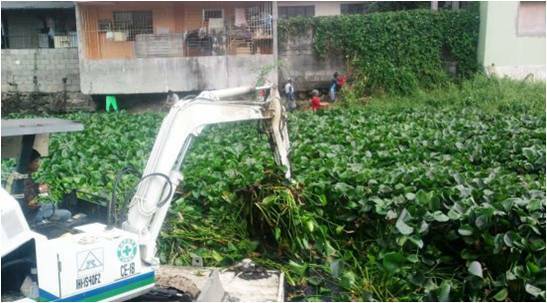 It’s been two weeks or so now that some people are removing the water lily plants in the creek at the back of our house. 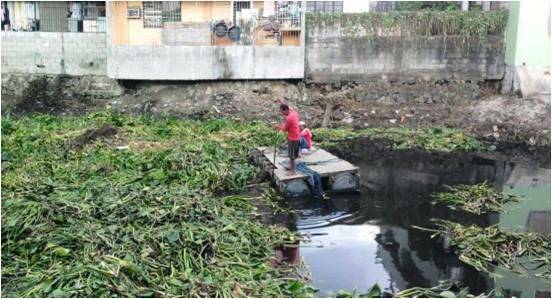 That is a good project by the barangay or city because it helps clean up the water ways so as to prevent clogging of the creek and also flooding especially during the rainy season. I remember during the Habagat last year that caused massive flooding here in Pinagbuhatan, Pasig, we look at how tall the water lilies were to tell whether the creek will overflow already or not. Well, aside from the clearing of the water ways, people also make a livelihood out of water lily plants. It has been for a while now that people are making handicrafts like baskets, bags, purses, slippers and decorative items out of water lily. This is another positive way of helping us in our pursuit of living green. Maybe others can also make handmade paper and other products from water lily, considering the volume of water lily that grows in a very short period of time. The only thing I really didn’t like about this clearing of the creek is the attack of big mosquitoes that used to inhabit the water lily swamp. I used to complain about mosquitoes when we arrived here in the Philippines but now the mosquitoes are much bigger; they are literally all over the place and not just during the night but even during day time. We’ve been using this mosquito racket, mosquito coil, mosquito spray, mosquito repellant lotion pretty much these days, but it seems not enough considering the “fierce” mosquitoes. Sometimes, I get sleepless nights because I try to catch the mosquitoes biting my children. I wonder when will all these mosquitoes be gone? I hope soon…. I think many are making the products now but water lilies grow too fast so there’s plenty to deal with. Totally agree na may pera sa basura. But I think making handicrafts using water lily is not just in the Philippines, even in other Asian countries.